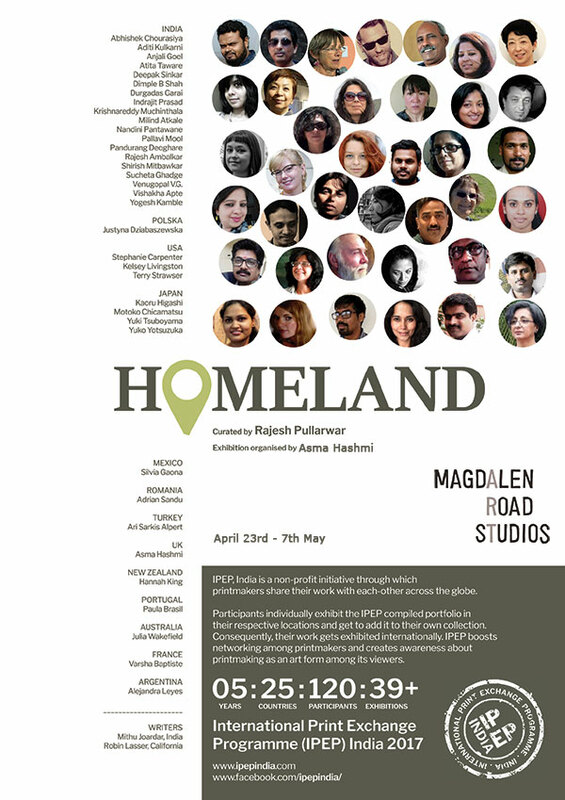 International Print Exchange Programme, India is a non-profit initiative through which artist-printmakers share their work with each-other across the globe. Participants individually exhibit the IPEP compiled portfolio in their respective locations and get to add it to their own collection. Consequently, their work gets exhibited internationally. IPEP boosts networking among printmakers and creates awareness about printmaking as an art form among its viewers. Within 5 years, this initiative has spawned into 120 participants from 25 countries exhibiting at 39 locations worldwide.